The Hematopathology Laboratory and the Division of Hematopathology offers diagnostic consultative services and a comprehensive testing menu for the evaluation of hematologic disorders. The Division of Hematopathology consists of nationally and internationally known experts whose expertise spans many different subspecialties of hematopathology including flow cytometry, immunohistochemistry, cytogenetics, coagulation, and molecular diagnostics. An integrated approach is utilized to provide clients with services ranging from test interpretation and selection to a comprehensive histomorphologic diagnosis. Please include pertinent clinical history and surgical pathology/Hematopathology and flow cytometry report(s). Dr. Agarwal is an associate professor of pathology at the University of Utah School of Medicine. 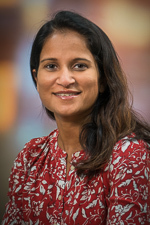 She received her MD at Delhi University in India and was a postdoctoral research scholar at the University of Iowa. She served as a pathology resident, a hematopathology fellow, and a molecular genetics pathology fellow at the University of Utah School of Medicine. Dr. Agarwal is board certified in hematopathology, anatomic pathology, and clinical pathology. She is also a member of several professional societies, including the College of American Pathologists and the American Society for Clinical Pathology. Dr. Agarwal’s research interests include red-cell enzymopathies, hemoglobinopathies, and molecular hematopathology. 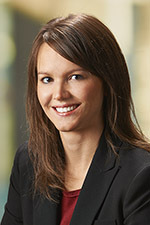 Dr. Andersen is an assistant professor of pathology at the University of Utah School of Medicine. She received her PhD in genetics from the University of Wisconsin–Madison and completed a clinical cytogenetics fellowship at the University of Utah. She is board certified by the American Board of Medical Genetics and Genomics and is a fellow of the American College of Medical Genetics and Genomics. Dr. Andersen’s interests include both constitutional and oncology cytogenetics. 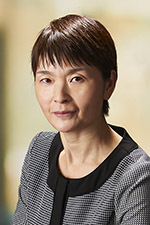 She is an active member of the Clinical Genome Resource (ClinGen) group’s efforts to improve constitutional structural variant interpretation, and her oncology research projects include improving the diagnosis and monitoring for myelodysplastic syndromes and understanding the genetic etiology of rare histiocytic and dendritic cell neoplasms. Dr. Cox is board certified by the American Board of Medical Genetics and Genomics and is a diplomate in both clinical cytogenetics and clinical molecular genetics. 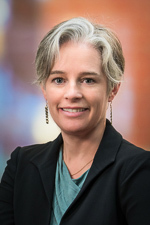 Dr. Cox received master’s degrees in human genetics and administrative science from Johns Hopkins University and a doctorate in human genetics from the University of Maryland at Baltimore. She completed a clinical cytogenetics and clinical molecular genetics fellowship at the University of Maryland, Division of Human Genetics. Dr. George is a professor of pathology at the University of Utah School of Medicine. She completed her MD and residency training in anatomic pathology and laboratory medicine at the University of California San Francisco, with fellowships in hematopathology and surgical pathology at Stanford University. Dr. George is board certified in anatomic pathology, clinical pathology, and hematology by the American Board of Pathology. Her research interests include mast cell disease and laboratory hematology. Dr. George has authored more than 100 publications, is Vice President of Scientific Communications for the International Society for Laboratory Hematology, and Co-Editor-in-Chief of the International Journal of Laboratory Hematology. She received the College of American Pathologists Lifetime Achievement Award in 2014. Dr. Hanley is a pathology instructor at the University of Utah School of Medicine. He received his MD and a PhD in microbiology from Boston University School of Medicine and is certified by the American Board of Pathology in anatomic and clinical pathology, with eligibility for subspecialty certification in hematology. His research interests include HIV-1 infection of macrophages, the contribution of viral infections to lymphomagenesis, and the role of innate immune receptor signaling in adult and pediatric non-Hodgkin lymphomas. 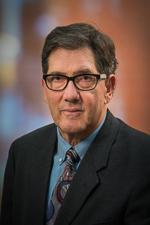 Dr. Hanley is a member the Society for Hematopathology, the College of American Pathologists, and the United States and Canadian Academy of Pathology. 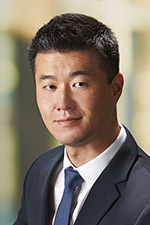 Dr. Hong is an assistant professor of pathology at University of Utah School of Medicine. She received her MD at Beijing Medical University in Beijing, China, and completed her residency in internal medicine and hematology at People’s Hospital, Beijing Medical University, and fellowship in clinical cytogenetics at the University of Utah. She is board certified by the American Board of Medical Genetics and Genomics and is a fellow of the American College of Medical Genetics and Genomics. Her academic interests include cytogenetic profile of hematologic malignancies, particularly childhood leukemia. 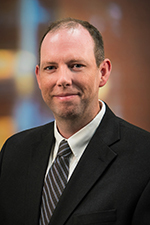 Dr. Karner is an assistant professor of pathology at the University of Utah School of Medicine. She received her MD from the University of Nebraska and completed her anatomic and clinical pathology residency at the University of New Mexico. She also completed hematopathology and molecular genetic pathology fellowships at the University of New Mexico and is board certified by the American Board of Pathology in anatomic and clinical pathology (AP/CP), as well as hematopathology and molecular genetic pathology. 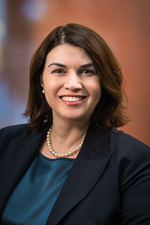 Dr. Karner’s areas of focus include both lymphoid and myeloid malignancies, and her current research interests include genetic aspects of myelodysplastic syndrome and other myeloid malignancies. Dr. Li is an assistant professor of pathology at the University of Utah School of Medicine. He received his MD from New York Medical College and completed a residency in anatomic and clinical pathology at the University of California, San Diego, where he served as chief resident and received the David J. Epstein Research Award during his last year. Dr. Li also completed a fellowship in hematopathology at the University of Utah, and is board certified by the American Board of Pathology in anatomic and clinical pathology, with subspecialty boards in hematology. He is a member of the Society of Hematopathology, College of American Pathologists, and United States and Canadian Academy of Pathology. Dr. Li’s clinical and research interests include lymphoma, flow cytometry, and benign hematopathology. He is also active in the education of medical students, residents, and fellows. Dr. Matynia is an assistant professor of pathology at the University of Utah School of Medicine. 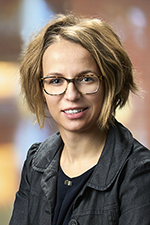 She received her MD from the Jagiellonian University in Kraków, Poland, and completed her residency in pathology, as well as fellowships in hematopathology and molecular genetic pathology, at the University of Utah and ARUP Laboratories. Dr. Matynia is certified by the American Board of Pathology in anatomic and clinical pathology, with subspecialty certification in hematology and molecular genetic pathology. Her academic interests include molecular diagnostics of hematolymphoid and solid tumor malignancies.